I hope you can help me out. I was once a Christian, my faith was at its peak ten years ago. From then on, day by day my faith in Christ diminished until a couple of years ago it completely expired. From then on I continued believing in a deity, but certainly not the God of Abraham. Today, I am agnostic verging, just verging, on atheism. I wish I could be an atheist but deep down I doubt I can. I rely solely on reason and my reason tells me that we cannot know whether a god exists which is why I am only an agnostic for the time being. I would probably feel finally free if I admitted to myself that I am an atheist. It is like being gay, first you have to face the fact that you are gay and then to embrace it. Do you have any advice for me? All I can do is give you my thoughts and opinions. I think, like many of us skeptics, you’ve come to the realization that doubting theism (and religion) leads to agnosticism and atheism as a consequence, whereas doubting agnosticism and atheism doesn’t automatically lead to belief in a God or gods or space aliens. What is true, and what one wishes to believe, are different things. Agnosticism deals with what we can know, so it deals with truth claims. Consider the following question: Is it true that Mt. Everest is the highest mountain in the world? Nobody is *agnostic to whether Mt. Everest is the tallest mountain in the world because there is a definitive answer to this question. We *know it is, because we have measured Mt. Everest and have found it is the tallest. But it’s harder to find evidence for things that are beyond our detection. If we can’t see or measure it, then we look for indirect signs. Consciousness is a good example of this. We cannot see or measure it. Not exactly. But we can detect it indirectly. We know, for example, that most sentient animals are conscious creatures. That is, they recognize other creatures that are like them, they sense each other’s emotions, and can show signs of empathy and altruism with regard to those others that are like themselves. This awareness of other minds (of the other) allows us to recognize that the conscious mind is a real thing. That which we recognize in ourselves we recognize in others as well, and we realize we are like them, we share the same emotions, and can show empathy and altruism with respect to those like us. And even if we were able to detect a greater consciousness out there in the great beyond, it wouldn’t necessarily mean it was a god. It might just be a more highly evolved form of consciousness. A sentient alien, a super-computer, or even a conscious, living galaxy. It’s all guesswork as to the types of consciousness that could potentially exist; all I know is that we, at least, know how to recognize conscious minds within ourselves and within other creatures, so there is no reason to think we couldn’t recognize it elsewhere too. So, as far as anyone knows, life on Earth is the only kind of life that exhibits this higher form of consciousness – at least the sort of minds that we would consider conscious, living, thinking minds capable of rationality. This we do not find outside our own corner of the galaxy. Of course, that doesn’t mean intelligent life, or other forms of consciousness aren’t out there. Just that we haven’t discovered any and so have no other example to cite than our own forms of conscious minds as we find here on Earth. Theologians, apologists, and believers faced with this dilemma then turn around and make the opposite claim that God is beyond our comprehension. Instead of a conscious mind we can detect, God is rendered undetectable. I must wonder, if this is true then what is there to know? Doubting the existence of a particular God doesn’t rule out the possibility whether such a thing as a God could exist in the first place. It is, after all, possible. But the question isn’t so much whether it is possible, since anything is possible given the right conditions and circumstances, but whether it is plausible. However, when we talk about things that are plausible, we are talking about things that can be argued for or against. Does God exist? Well, to be persuaded we’d have to have really solid arguments. If we argue for the truth of a matter, like whether something really exists, we must have positive evidence to base our argument upon. If I say that God really exists, for example, I have to have real support to back up that claim. This is why it’s called a positive claim. If we are adding a postulate to the null hypothesis, e.g. creating an alternative hypothesis, then we need to support that postulate in order to prove the alternative hypothesis and thereby nullify the null hypothesis. If I make the positive claim that Mt. Everest is the highest mountain in the world, then I have to be able to support that claim with evidence. If I say a *different mountain is taller, or that Mt. Everest isn't the tallest mountain in the world, this alternative hypothesis needs to be evidenced. An un-evidenced positive claim is an empty claim. Which is why those who have zero evidence for God can only profess belief in God – not certainty. Atheism is not a positive claim. It does not add anything to the null hypothesis (in this case, the natural world is as we observe it). 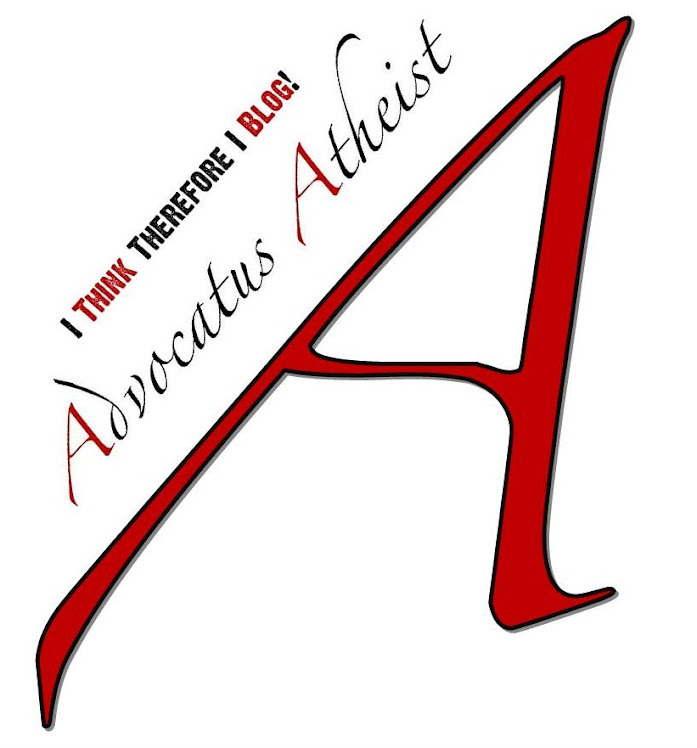 All things being equal, atheists haven’t postulated an additional God to the equation (adding God is the alternative hypothesis), and so atheism isn’t so much making a negative claim as it is stating that the question of God’s existence simply has not been demonstrated so theism is false. This is what is known as weak-atheism (or agnostic-atheism). Now, if you make the counter-claim (the negative claim) you are saying that there is absolutely no God. Although this isn't something we can know per se, you can claim to believe it based on the fact that there is not a shred of compelling evidence to sustain the belief in the kind of God that is said to exist, thus you can choose not to believe in any God or gods until all the evidence is forthcoming. This is what is known as strong-atheism (or gnostic-atheism). The strong-belief where you feel convinced that there are no gods. I think both strong and weak atheism are fine, because if there was a God or gods to any discernible degree, the null hypothesis wouldn't be the natural world as we observe it, it would be the world as we observe it with gods. But this we do not find. So atheism aligns with the null hypothesis, the world being as we observe it. So that makes the God-hypothesis the one that needs to be proved. At the same time, you can remain skeptical, but choose to believe. This is called agnostic-theism, because although you admit the evidence is inconclusive and that you cannot know for certain, you feel inclined to believe (for whatever reasons). But once again, I feel I must stress that this is still making a positive claim – in this case the postulate is a possible deity rather than a prospective deity, but both assumptions add to the null hypothesis. 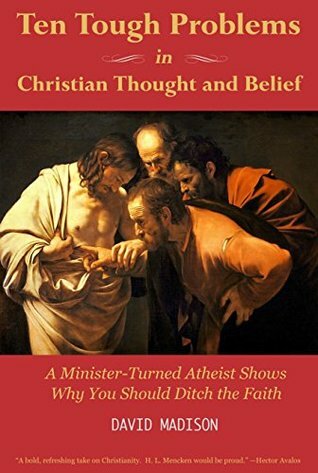 So, to me, it doesn’t matter how you may feel regarding a certain belief, whether you feel it is possible and we simply haven’t discovered it yet or whether you feel it exists but we still need to better identify it, either way you technically are making a positive claim because you are positing something that adds to the null hypothesis. This means you have to make, at the least, an argument to sustain your belief. 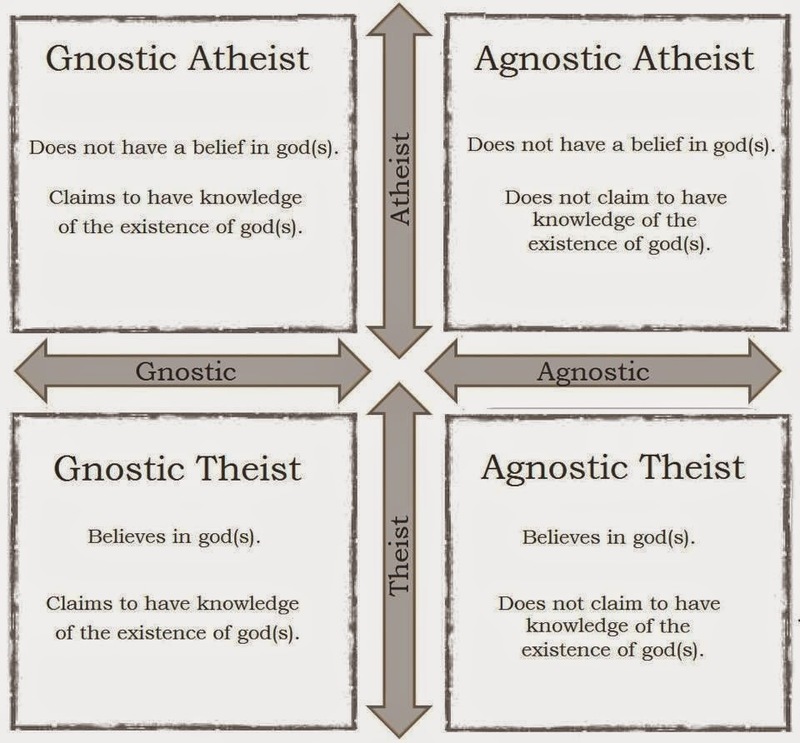 I consider myself an agnostic-atheist because I know that I cannot definitively rule out the existence of a God, but that there is no evidence for any God or gods either, and so I have no reasons that compel me to believe theism is true. All things being equal, I’d need to see some pretty persuasive evidence to incline me to believe. I’d need pretty strong evidence and excellent arguments to persuade me to believe in any one type of God. I can honestly admit, however, that I haven’t seen any form of convincing argument or evidence. Minus any convincing reasons to believe, the default position becomes skepticism. So atheists are basically saying that because theism doesn't appear to be true, and that the facts are all up in the air, the being skeptical rather than hopeful is the right position to take with regard to theism. Typically speaking, we aren’t skeptical things we believe to be the case. I’m not skeptical that Mt. Everest, for example, is the highest mountain in the world. In order for me to be skeptical of that fact, I’d either need to be ignorant of the evidence or else in complete denial of the fact that Mt. Everest has time and again been demonstrated as the tallest mountain on this planet. This is why I think most agnostic-theists get a bad rap. They are technically saying they are skeptical of what they believe based on the fact that there is no compelling evidence to support their beliefs, but they choose to believe it anyway. We can only stare at them blankly and scratch our chins. I think the way you describe yourself you probably lean more toward agnostic-atheist. I find this is a very reasonable position to take. If you stop to think about it, agnostic-theists are making a rather bold claim. Essentially they are saying that even though they lack the evidence they still feel that it is at least a 50/50 chance of God existing, they just don't know which, but have wagered that God exists. I find this position unreasonable. Because not knowing something could never lead to a conclusion of any certainty. In other words, their feelings are being distorted by what they wish to be true rather than letting themselves be guided by what is most likely to be true. So how can they be uncertain whether there is a God then settle on the choice that God exists? Because that's the story they want to be true. I have less of a problem with dogmatic atheists who like to profess their certainty that there is NO God. I’m fine with that because there is no evidence to suggest they might be wrong, whereas there is more than enough evidence to suggest that theists are wrong. Personally, I would find it shocking to find out that there was a God controlling things behind the scenes, a man behind the curtain so to speak, pulling the levers and manipulating things to his will, like the Great Wizard of Oz. I am wholly skeptical of any such a claim because I see absolutely no evidence to even assume such a possibility in the first place. Thus I cannot pretend it’s reasonable to assume invisible, intentional agents when there is no direct or indirect evidence for the tinkering and toiling of invisible, intentional agents. Many believers say they see “signs” of God working in their life. And then those signs fit with, coincidently enough, exactly what they imagine their God to be like. In other words, these people want God to be real so badly that they see him everywhere they look. 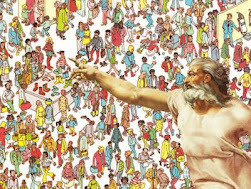 This kind of projection causes them to be biased as they tend to see God everywhere, even on slices of burnt toast and on their dogs’ assholes. I find such thinking to be entirely wishful and overly expectant. Presumably, they wish for it to be this way because they want the universe to have meaning, so they imagine there is a God, and then suddenly the universe has meaning for them! That way they can pretend that their lives have meaning in a vast universe of apparent meaninglessness. They expect it to be true because they don’t see how they could possibly aspire to anything greater than they are if the universe is meaningless. They would feel lost in a never ending void of hopelessness and indifference – so they like to conjure up Gods, which always have the unlucky habit of being created as mere reflections of human desires instead of the other way around. We want to be loved, so we create a god which is love, whether it is Aphrodite or the Catholic notion that God is love, it doesn’t matter. It is all representative of human psychology. It fulfills our desires. It fills the void of a meaningless universe. It soothes our fears. Personally, I take the view that the universe is without meaning, but like Fredrick Nietzsche I feel that we have the ability to supply meaning to the universe. The universe therefore isn’t without meaning. It just doesn’t come prepackaged with the stuff – we have to make the meaning first. Whether or not I find meaning in my life and in the universe isn’t dependent on whether there is a God or not. In fact, I would say this is true of everybody. They simply mistake their desires for truths, and then say because they want it this way rather than some other way then it must be true for everyone. Again, this is more wishful thinking. And thinking which I find to be unreasonable as it doesn’t leave room for doubt, or the possibility of being wrong. Likewise, I’ve never heard believers who espouse, as my mother does, “That they know in their heart that God is real,” to admit even the slightest doubt in this claim. Rather, they tie their emotions up into a pretzel trying to convince themselves it’s true – because if it’s true they feel happy, secure, and have a sense of purpose. Why would they even think, for a second, that they would be wrong? All that would mean is a sense of dread, insecurity, and purposelessness. But that’s the way I think it really is. Which means, at least in my mind, atheists are brave. They are facing the great unknown head on, and I think that’s more valiant than telling oneself lies simply to feel better – regardless of who turns out to be right (then again, we may never know – in which case the atheist’s position also becomes the more rational one). That doesn’t mean I think all religious God-believers are irrational. But it’s like the skeptic Michael Shermer has said, people who are rational are the best at making rationalizations for what they want to be true. I think this can be said of all of us, but especially of theists and believers. As long as you continue to ask yourself these challenging questions, then I think you’ll do just fine. Admitting that you don’t know in light of a better understanding is to remain humble. It is to take the position of the wise sage. It is to reflect on truth and meaning. There is more to learn than can ever be learned in one life time. As human beings we can never be all-knowing. So we must remain agnostic with respect to those things we cannot possibly know. So the way I see it is you’re already on the right track. I am glad to report that I have received a follow up message thanking me for the in-depth response which this person found to be helpful. I'm glad to have helped in what little way I could! A New Book ... Already?! Randal Rauser: What's His Beef? The Swedish Fish! It's Finally Here!